Stay under budget with these essential Value Buy giveaways - 24HR! 4imprint Value Buy items get your message across while staying under budget. 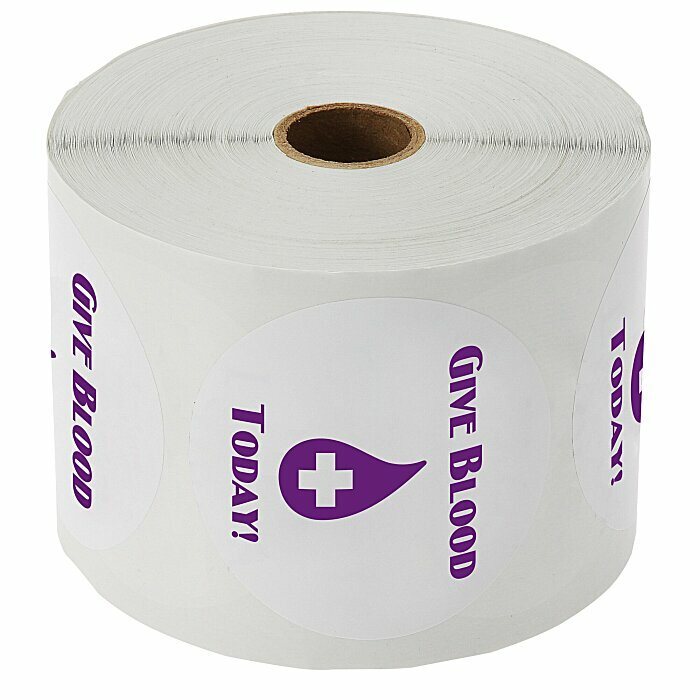 These simple white circular stickers are perfect for sealing envelopes, labeling files, decorating goodie bags and more. Remove each individual die-cut sticker with ease from each roll of 1,000 stickers. Size: each sticker is 3" diameter. Your price includes a one-color imprint on the front of each sticker. * Excludes art preparation time, applies only to orders of 5 items or fewer.